After two days without updating the blog (forgot the first one, missed the second one), I have quite a bit to update the world on. 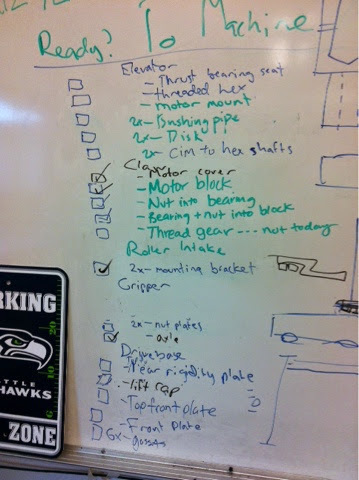 Parts arrive throughout next week, all shipments will be in by Wednesday, and we have until about Friday to machine and build in shop as stuff comes in. On that note, cad is essentially complete, with virtually all parts needing machining ready to go, now we can cad the robot as a single huge system and get a great idea of what it's going to look like. After robotics officially ended today, some people stayed at IV for an extra couple of hours in order to get a head start on a busy week of machining. 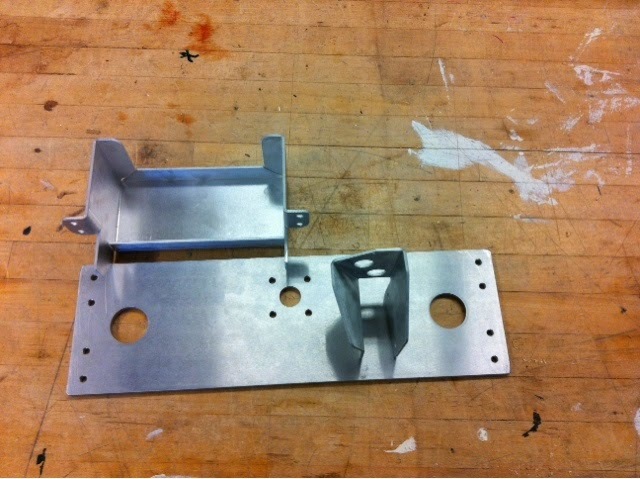 Just for the sake of gratuitous images of machined parts, here are some that we already have in place. That is the battery mount in the back and the motor mount for the gripper resting on top of the gripper/elevator interface plate. Rawr! 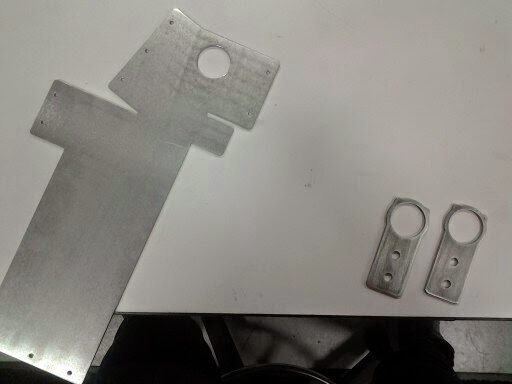 Here are some pieces that needed to be bent. Much more of that is coming during the next week. In honor of the Super Bowl tomorrow, a change must be made to the blog ending for one day and one day only.